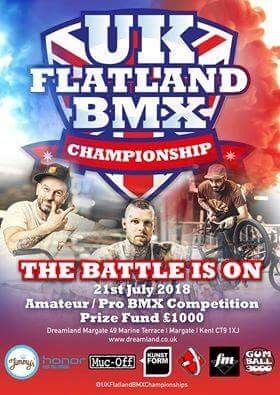 Next week UK Flatland BMX Championships will be going down on the roller disco! 21st July kicks off 8:00 – 18:00 this is also apart of the bloc party see below for more details. School’s out, the sun is shining and it’s time for a Block Party takeover! Join us for the ultimate mix of street sports, fashion, music, art and dance. The beat goes on…Big Narstie, Oxide & Neutrino and Jammz will take to the Scenic Stage for the Dreamland Block Party Evening Event. Buy evening tickets here. All ages are welcome to attend the Block Party event, however, please note that under 14s must be accompanied by an adult (over the age of 18) also holding a valid ticket for the event. Please be aware that amplified noise presents a danger to vulnerable hearing, so we would strongly recommend that you bring hearing protection for your children. Events may contain the use of show effects, such as strobe lighting or smoke machine. FASHION: Meet some of the latest fashion trendsetters in our interactive marketplace and customise your kicks. Learn how to start up your own fashion label and meet ASOS marketplace favourite fashion designer Siobhan Hogan. ART: Join local artist Charlie Boyce, in screen-printing his AMAZING collaborative art piece on our giant Mural-by-the Sea billboard. Tell us what makes your Margate or your Block AMAZING. 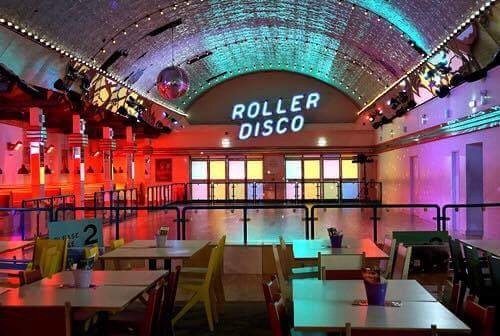 MUSIC: Pie Factory Music will be leading music workshops on how to put on your own music events, while FUN DMC will serve up a slice of old school hip hop dance rave to soundtrack the day. Kids of all ages will have the chance to dress up and dance. Also set to entertain the crowds and described as “London’s premiere hip-hop party” are The Doctor’s Orders, who will be at the park for a feel-good history of hip-hop DJ set. With regular events at Fabric, East Village, The Jazz Café and Scala to name a few, their previous guests have included De La Soul and Jazzy Jeff. Look forward to catching up with everyone!